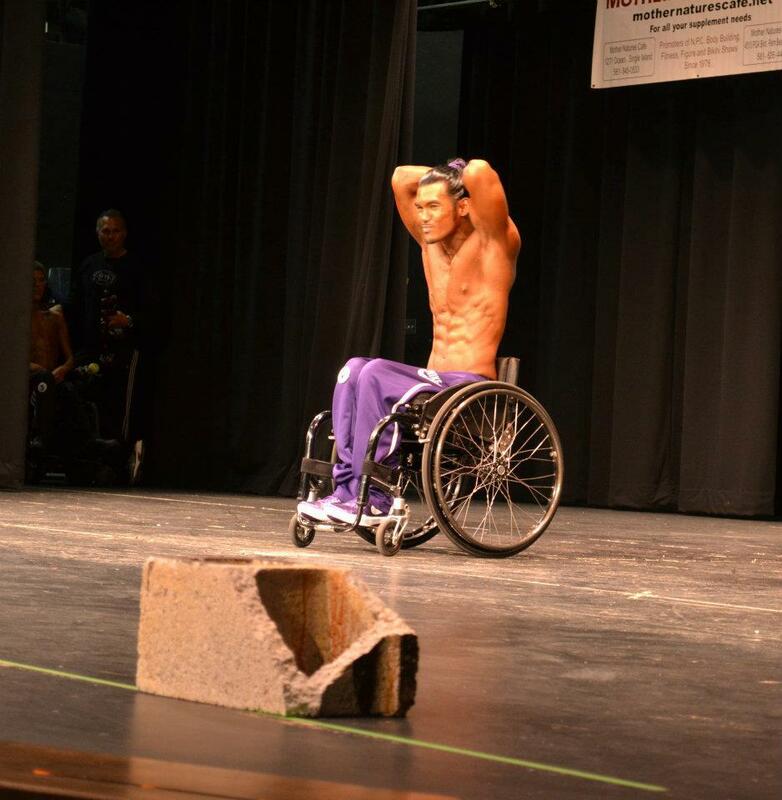 Image 1: Adelfo Cerame Jr, 2nd at the Wheelchair Nationals in West Palm Beach, Florida, doing his posing routine. Back from Florida and more motivated than ever! Another 15 posts? Every Thursday? What is that supposed to mean? Image 2: Athletes don't compete to be part of the show. They compete to win! For men like LeBron James and Adelfo Cerame a 2nd place feels like a defeat. The compliments, all the kind words on how much progress I had made, how great I looked... all that, I heard it, but still, it did not really reach my heart. It probably is my competitive nature, my upbringing from my days of playing football. You know, like Ricky Bobby says, "If you ain’t first, your last!" I know, it sounds stupid, but if you are a competitive athlete, I guess you know these "stupidities" ... Do you think Tom Brady was satisfied with placing second in the Superbowl to the New York Giants? Do you think LeBron James was satisfied with placing 2nd to the Dallas Mavericks in the NBA finals? 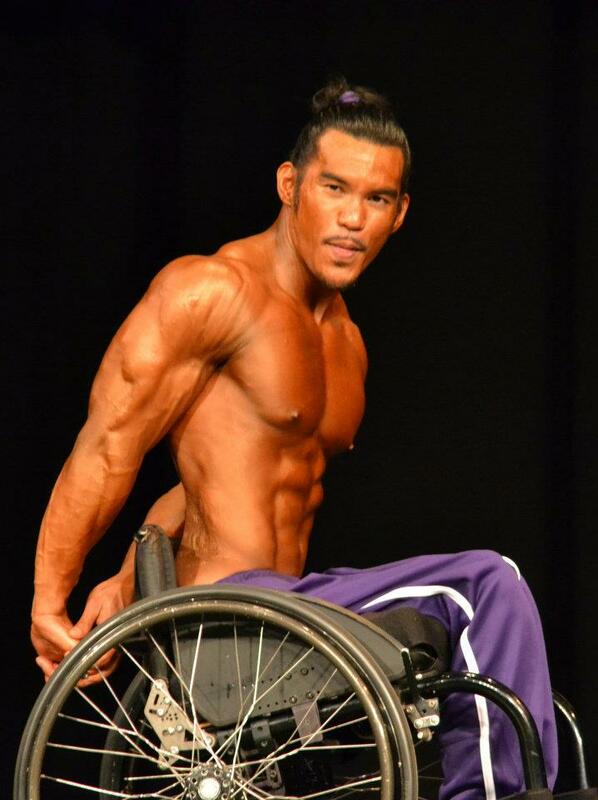 Well, that’s the same way I felt placing 2nd at the wheelchair nationals. But I am not bitter about it. It's part of the sport and though I was disappointed with my placing, I was not disappointed with my conditioning, my shape and the progress I have made over the past couple of weeks. I have never been in better shape, I have left no if's, no and's and no but's during my prep and I am sure there is still room for improvements in the future. A brief review of my traveling and how I kept form from Wednesday on till’ Saturday. Image 3: Not exactly the "Last Supper", but an ideal last re-feed on Wednesday before the show. So, I loaded or re-fed on Wednesday for about 8 hours, following my intermittent fasting feeding protocol hours. Wednesday was also my last training day, on which I did a light full body circuit training early in the am (fasted). I didn’t train intense but just to slightly stimulate the muscles, get a decent pump and to prime the muscle fibers for maximal glucose uptake in the subsequent re-feed. Image 4: The timing obviously worked out for Adelfo. Thursday, traveling: I had a 10 hr + flight from California, to New York, then to Palm Beach, Fl., so that I would be up in the air all Thursday, crossing a few timezones and programming a profound jet-lag. Luckily, I had already done my re-feed on Wednesday, so that I did not have to do that while I was traveling - let alone on the plane! I was however uncertain, whether or not the hours sitting in the plane would make me hold water and decided that I would try to counter that by sticking to light foods and avoiding carbs all together... a couple boiled chicken breasts, cans of tuna, cucumbers, zucchinis, sweet peppers and my jar of coconut oil for the trip and 1x sweet potato, a bag of rice cakes and a candy bar to make sure I would not lose too much glycogen from my muscles. Friday, Palm Beach: I touched down in Palm Beach around 1am and arrived at my room in the hotel at 1:30am. The first thing I did when I got into my room was to take off my shirt and check the mirror! *lol* I was pleased to see that I had no water retention issues, but actually looked better and felt harder. After I evaluated myself, I slept like a baby - actually till about 9am. The moment I woke up, I started pounding water and began practicing my posing routine. After each cycle, I did some mental exercises like meditation and prayer. Since I still stuck to my regular meal plans, all my meals were exclusively protein + fat (just like on a regular rest day). After pounding 2 gallons of water over the day, I cut my water intake to a few sips every hour at 8pm and kept it that low until the show on Saturday. Saturday, Showtime: I woke up feeling great! My body felt nice and tight and the contractions, when I hit a couple of poses in front of the mirror were awesome. I began to apply my tan and get my stuff ready. While waiting for the cab to pick me up, I ate a quick protein + fat meal with an added sweet potato to help fill me out some more. I had decided in advance that it would not make sense to try to stick to the IF feeding window on contest day, to make sure that I would hit the stage as "gull" as possible. So, I had my last two meals three hours before the pre-judging and 30 minutes before I got on stage. After I got to the venue, registered, and weighed in, I found a corner, where I pumped up and zoned my focus in on what was about to come. 30 minutes before I hit the stage I ate a nice small meal, which has a nice combination of fast digesting carbs, fats, and pretty huge amount of salt to fill out a bit more, and get the blood pumping to increase vascularity. And let me tell you, the two cupcakes, and the candy bar did an awesome job! Image 6: This is the shot, where I can see Adelfo in 2nd place - check out the rest on Adelfo's Facebook. Image 7: I (Dr. Andro) am sure, next time there won't be another stumbling block standing in Adelfo's way. Everything went just the way I had planned it, ... well, until the very moment, I mentioned earlier. "2nd place, Adelfo Cerame Jr" - certainly not something someone with my competitive nature likes to hear. The second place just leaves a bitter taste in my mouth, and I wasn’t bred to be satisfied with something less than what was the goal at hand. So, I decided that the only way to rinse that bad taste out of my mouth was to get right back into the trenches... or, as Rob Regish told me "re-trench, re-load and persevere". 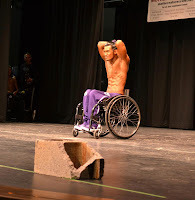 So the next stop on the road to my NPC procard, will be New Orleans, on June 23, for the USA Wheelchair Championships. My prep starts next week and I would be thrilled if you would be willing to follow my progress for another 15 weeks. I hope to see you all back here next Thursday, then!